How blessed are the feet of those who spread Good News! A born-again Christian who loves the Word of God, I endeavor to explore scripture in short posts due to my reduced attention span! 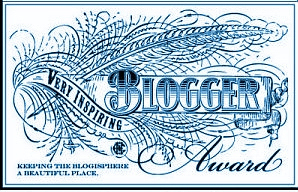 I now write (or administrate) FIVE blogs: "Grace Partakers" "obsecrations" "Versatile Blogger Award" "Metal Man Walking" and "DooRFrame Books." Sometimes accused - yes! accused! - of being a Calvinist, I actually admit to believing God is Sovereign and God is Love.